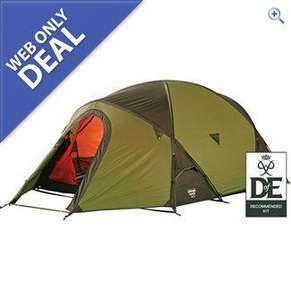 Whilst you might say £189 is a lot for a 3 man tent I though this was actually a decent deal on what is a very strong tent. Great for camping all year round and in just about any weather. It's the 2010 model so I guess they're clearing out old stock now that the 2011 model has been released. I've looked at the specs of the new one and can see much difference! If you haven't already got a card then take your pick. In theory the break outdoors one being 9p cheaper then go-outdoors, you could try their price promise and save another 10% - but you need to have a discount card to claim. Works out at £171.91 if you've got a card. Doubt it's worth buying a card - the first person to claim will presumably mean the go-outdoors price will suddenly drop by 10p. Good point Mincer, you do need the card. I had one already so didn't consider it. Looks like any of those places will be a good place to pick one of these up. Wherever you go to I still think it's a good deal.